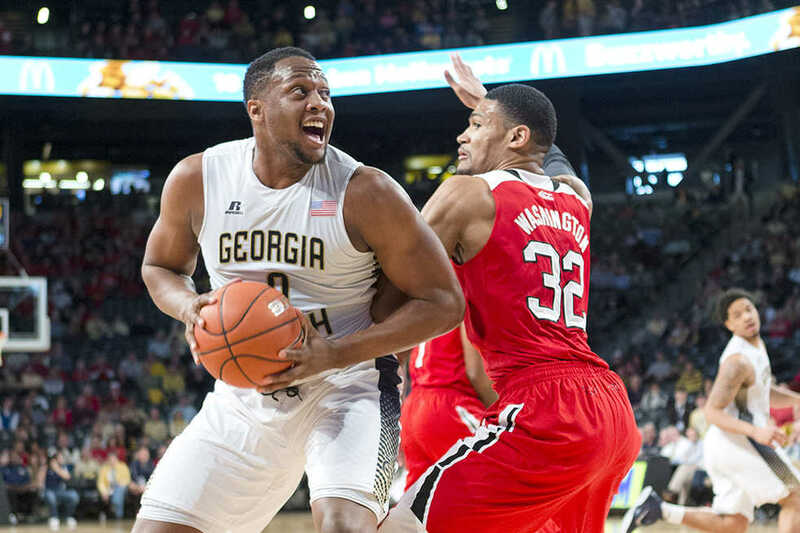 Charles “Chuck” Mitchell is Tech’s premier big man. Standing at 6’8” tall, the 256-pound big man dominates the low-post. The Maryland transfer is in his second and final season as a Jacket, and his presence is already making an impact this season. He sat down with the Technique to share his thoughts on the season thus far. Describe what it was like to upset the No. 4 Virginia Cavaliers in front of your home crowd earlier this month, especially after the tough losses you have suffered to similar teams over the past few years. Mitchell: It was one of the best moments of my career in basketball. We never caught a break all last season, and we just knew we were due for one sometime, and we finally got one. But we know we can’t stop there. There are more games left on the schedule. Tech’s losses have been narrow so far. What do you think the team needs to do differently moving forward to see a change of results? Mitchell: I think we just need to stay the course. I feel like those games have been close and that there are small changes we can make to help us win the close games. Going to practice, looking at film, making those small changes, and the outcome will be different in those next games. We have 14 games left (at the time of the interview) and I feel like we will have a better outcome in those 14 games just by focusing on what we did in the first four. Looking back on the year, what are some things you would have done differently? Mitchell: I would have to say [nothing] because every game happens for a reason, everything happens for a reason, and you learn from your wins and your losses. So, I feel like I wouldn’t change a game. If we could have won, that would have been nice, but it didn’t happen. How much has the arrival of transfer guard Adam Smith impacted the team this year? Mitchell: A lot, his shooting, the way he can space the floor for us on offense, the energy he brings overall to our team, being a senior, being a leader, and just being mature, and having been in the game for five years in college has just helped us a lot. Have you noticed your hard work in the off season, specifically losing 25 pounds, affecting your performance this year, and if so, how? Mitchell: More energy on the court. I play more minutes. When I’m out there, I’m more effective for my team, rebounding and defensively. It has just overall helped me be better conditioned, play more minutes to help my team win the game. Are you looking forward to the rematch from last year’s game against Louisville next Saturday? Your team had them beaten last year, but couldn’t hang on. The ACC is arguably the best conference in basketball. How do conference games compare to non-conference games, particularly in terms of intensity and your perspective? Mitchell: It means more, it’s more intense, the crowd is into it more, it means more to the players and coaches, and you always want to try to come out and win your conference games and win the conference because this is one of the best conferences in the country. Anybody can be beaten on any given night, so we just try to go out there and give it our all. How have your teammates Nick Jacobs, James White, and Ben Lammers impacted your game this season? Mitchell: We are four big men that like to play hard and work hard. In practice, we just go at each other and make each other better. Knowing you have someone that you’re competing with and sharing minutes with, you’re always going to go out there and give it your best every time that you’re on the court. So, it just brings a competitive edge to practice and to the games with all of us four just going at it daily. Do you expect the Jackets make March Madness (the NCAA Tournament) this season? Mitchell: I expect to and I want to. As a player, as a fan, I’ve not been there yet, and we have a good team, so I expect us to make it.